Three Primary Things You Want to Know About A Taste of Dr. Phillips! 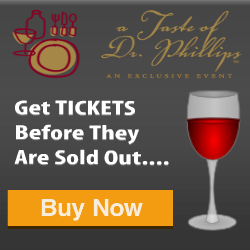 Our 12th annual A Taste of Dr. Phillips will take place Sunday, November 11th, 2018 1:00 pm – 4:00 pm at the Dellagio Orlando. 3 Primary Things You Want to Know About A Taste of Dr. Phillips! A Taste of Dr. Phillips is a showcase of 20+ of the finest cuisine in the Dr. Phillips area, known as "Restaurant Row". Incredible value and supports a number of special local causes. 3 hours of gourmet food, wine, beer and live entertainment plus a great Silent Auction. This is one of the area's signature events for the community. The Rotary Club of Dr. Phillips and The Rotary Club of Dr. Phillips Foundation, Inc. have been supporting local charities and organizations since 1979. Our motto is "Service Above Self" and we are group of local business and community leaders. 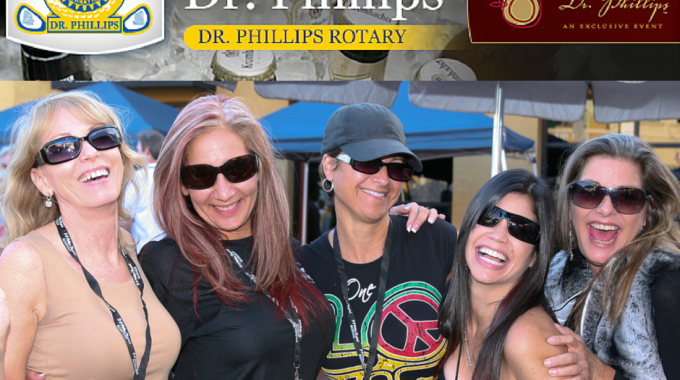 A Taste of Dr. Phillips is one of two signature community events where we raise funds for the community needs. We meet weekly at the Bay Hill Country Club and we are a part of the global organization, Rotary International. Dellagio Town Center on Sand Lake Road. Visit: Atasteofdrphillips.com for tickets and auction bidding! The Rotary Club of Dr. Phillips & Dr. Phillips Rotary Foundation will be hosting the 12th Annual “A Taste of Dr. Phillips” on Sunday November 11, 2018 from 1pm – 4pm, at the Dellagio Orlando off of Sand Lake Road. Foodies & Wine aficionados from across Central Florida will be able to enjoy unlimited samples from more than 20+ local Dr. Phillips area restaurants from one of the most renowned culinary stretches in Central Florida known as Restaurant Row. Dr. Phillips Rotary Club is proud to welcome this year’s title sponsor North American Office Solution as well as the wine Hospitality Sponsors; Coopers Hawk Winery & Restaurant that is sure to delight attendees with a vast selection of wines. The event is a great opportunity to meet new people and to get to know all that Dr. Phillips area has to offer. The 2018 Taste of Dr. Phillips celebrates amazing food, great wine, auction items and community efforts with 100% going to local areas charities. Since its inception, more and more people have attended the event thanks to the amazing local business partnerships. This year’s event will have close to thirty local sponsors who have joined in to provide an enjoyable afternoon to the entire community while exposing their businesses to the who’s who of Orlando elite. The popularity of the event put together by the Rotary Club of Dr. Phillips sells out sooner & sooner every year seeing over 800 attendees so get your tickets early. An additional highlight this year will be a silent auction where guests will be able to bid on multitude of items donated by our sponsors and local businesses. 100% of proceeds from the event will go straight to back to local Dr. Phillips Rotary Foundation supporting area supporting projects. Rotary International is an amazing world wide organization that builds character and shares core values among their members and their communities. Dr. Phillips Rotary club began its charter in 1987 holding meetings every week at Bay Hill Country Club. Several years after inception a Dr. Phillips Rotarian by the name of Tim Keith talked about starting an event with the local area restaurants to sample food and drink wine as a charity event. A great idea in theory but it never but it never got off the ground. A number of years later a newer member, Bill Baril, attended a Rotary Leadership Institute (RLI) Training Class. The purpose of these classes is to bring fellow members from over 40 different clubs together to share ideas. In one of the workshops Bill became very excited listening to a neighboring club talk about their new fundraising event. 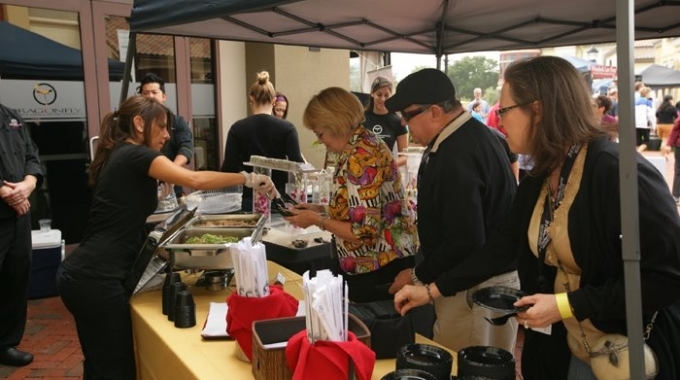 The idea much like Tim Keith years before was a taste of the community event which brought several of local restaurants and business together to share in an afternoon of Food, Spirits and Fellowship with local philanthropy the main driver. This is the story of how the Taste of Dr. Phillips was born. The Rotary Club of Dr. Phillips had always been very active within the Dr. Phillips community. At the time the club was very focused on trying to develop an event that would bring as much of the Dr. Phillips southwest area community together as possible while focusing on donating time and money to support local organizations like The Dr. Phillips High School, Dr. Phillips Library and the Dr. Phillips hospital. Bill Baril presented the idea to the Dr. Phillips Rotary Club board members and the board approved the idea of having “A Taste of Dr. Phillips” event. THE SPIRIT OF ROTARY: The spirit of Rotary giving started immediately. The club from the RLI training that shared their idea also shared their event plan. Dr. Phillips Rotary club member, Dan Kirby, general manager from Roy’s restaurant volunteered to help organize and invite select restaurants to participate. Some many people embraced the idea and got involved. The local bank offered to let us use their parking lot as the Venue. The Mall at Millenia offered valet parking for the event. The local Publix supermarket donated refreshments. The local wine distributor donated wine. Local hotelier, Greg Hauenstein, donated banquet tables. Another local hotel manager Laura Sherman, organized logistics of getting items delivered and setup for the event. Sally Kamrada, a club member and local real estate agent headed up the silent auction. It didn’t end there many other Rotarians stepped up right away from attorneys, financial advisors, insurance agents, Disney, UCF hospitality students, the list goes on and on. THE ORIGINAL GOAL: 400 Attendees and Raise $10,000 thousand dollars for our local benefactors no small feat at the time. The Dr. Phillips Rotary Club and our community rallied around this inaugural event in 2007 with over 500 attendees raising over $25,000 dollars that would be donated back into the Dr. Phillips community. INSPIRATION: The Taste of Dr. Phillips event is not only going strong and bringing our community together today but has inspired two other events, the Wine and Dine on 9 and the Birdies BBQ and U part of the Arnold Palmer Invitational a PGA Golf Tournament. THE ULTIMATE DREAM REALIZED: These local events spearheaded the ultimate dream which became reality a few years back when the Dr. Phillips Rotary Club created the Dr. Phillips Rotary Foundation. This foundation allows us to make significant donations to organizations like Arnold Palmer Hospital, Dr. Phillips High School YMCA of Dr. Phillips, Dr. Phillips Little League, Give Kids the World, Salvation Army, Southwest Library Orlando and many more, the “Dr. Phillips Rotary Foundation” also focused mainly on local organizations giving donations and grants along with developing a base for giving far in to the future!